Poisoned Pen Press, 9781492686033, 416pp. Jack Buchanan knows the woman sitting next to him on his business flight to Denver--he just can't figure out how he knows her. Clara Stowe isn't in Jake's line of work and didn't go to college with him. They have nearly nothing in common apart from a deep and shared certainty that they've met before. As their airplane conversation deepens, both struggle to figure out what circumstances could have possibly brought them together. Then, in a revelation that sends Jake reeling, Clara admits she's traveling to the Colorado mountains to kill herself, and she disappears into the crowded airport immediately after landing. 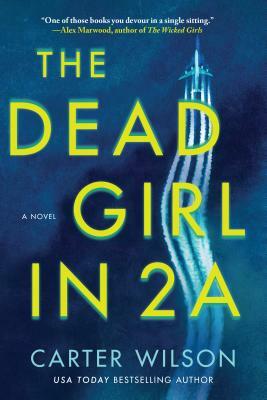 The Dead Girl in 2A is the story of what happens to Jake and Clara after they get off that plane, and the manipulative figure who has brought them together decades after they first met. Intensely creepy, beautifully written, and full of Carter Wilson's signature whom-can-you-trust paranoia, this is a psychological thriller unlike any you've read before.